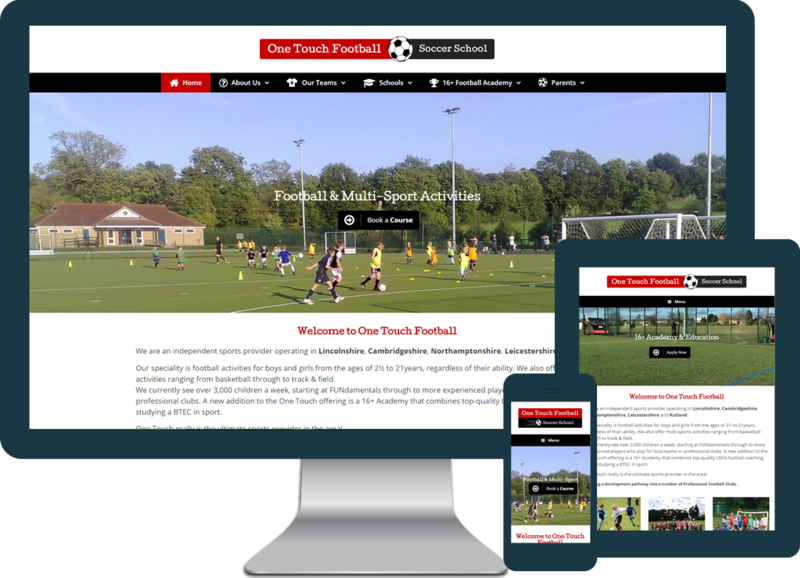 For One Touch Football I have designed a fully Responsive WordPress website which showcases all the services they provide. Also, customers are able to book courses on the site via the secure OpenPlay booking system. Using the WordPress system the client can easily update their website. Consequently, they can edit page content and add regular news posts. The website also allows customers to subscribe to their newsletter. One Touch Football provide Football/Multi-Sport activities for ages 2½ to 21 years. In 2017 they launched the 16+ Football Academy to help teenagers develop their skills and launch a career within the Football industry.